Wine & Dine: Chinese New Year! 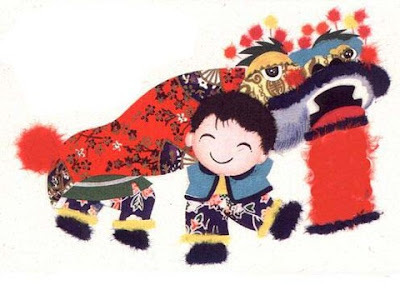 Although the actual Chinese New Year starts on Monday, January 26, 2009, we are celebrating it early with friends. In this month's Wine & Dine event, we are tasting our way through a variety of wines from China paired with Chinese fare. Believe it or not, China is an up and coming country to produce wines. With their vast range of climates, it's easy to maintain vineyards and there is a growing interest in familiar grape wine varietals among the Chinese culture. In fact, the first Chinese winery to produce a high quality grape wine is Dragon's Hollow. Kikkoman Plum Wine - Great as a wine cooler mixed with your favorite mixer and served over ice; as a dessert wine after dinner alone or over ice; or even as a plum spritzer with club soda and garnished with a twist of lemon or lime. Tsingtao Chinese Beer - Tsingtao Lager was first brewed and bottled by the Tsingtao Brewery in 1903. It's now sold in 62 countries and regions around the globe including Japan, Germany, France, UK, Italy, Canada, Brazil and Mexico. Tsingtao Lager is the #1 consumer product exported from China. Following its introduction to the United States in 1972, Tsingtao Lager soon became the #1 selling Chinese beer. With all these wonderful drinks to taste, we enjoyed a great spread of Chinese inspired food. Friends contributed to our Chinese table with some of the delicious dishes below. Click on the links for the recipes and perhaps have a Chinese New Year celebration to welcome the year of the ox! How interesting! I had no idea China is an up and coming producer of wines. I'm looking forward to trying some sometime. Another great party idea. Your table setting is gorgeous! Love your menu Joelen! Sounds like you surely had fun.